When you are selling online, you want to provide maximum information to the customers regarding the products. This is required because unlike a brick and mortar store, your customers are not completely experiencing your products before the purchase. You need to provide additional information in a structured way so that customers are well informed about multiple facets of your products. Similarly, you will need to add an manage additional information internally as well. Fortunately, if you are using WooCommerce, there are multiple solutions to tackle all this. This article looks into some of the best solutions for WooCommerce Custom fields. If you want to know more about WooCommerce products, read our guide on Product Management. We have seen how WooCommerce product search optimization helps improve sales on your store. Basically, custom fields and taxonomies provide an option to customers to research your products better. Likewise, order admin custom fields help you organize and centralize your order information. Let’s look into some of the popular plugins that will help you set up WooCommerce custom fields. This plugin helps you take charge of WordPress edit screens and custom fields effectively. You can add new fields to WordPress edit screens with just a few clicks. You will be able to add fields almost anywhere you like on your WordPress site. These areas include posts, users, comments, taxonomy terms, media, etc. You can display the custom fields on any theme template file. However, you need a bit of technical knowledge to do this. This plugin is one of the most popular solutions to set up a custom field on your WordPress site. The simple and intuitive plugin has powerful functions and over 30 field types. With over one million active installs, it is one of the most popular WordPress plugins in its category. It offers a seamless integration with WooCommerce as well, and you can easily add custom fields to your products. Once you install and activate the plugin, you can easily create field groups and individual fields according to your requirement. You can add the value for each of the custom fields from the individual product page. The settings page for Advanced Custom Fields is simple and straightforward. For example, we created a custom field ‘Special Sticker’ for a product. And, set the position to ‘high’, where it will be displayed on the product edit page just after the title. When you edit the product page, you can see a new field just below the title. The free plugin from the WordPress repository helps to manage the basic functionality in terms of WooCommerce custom fields. However, if you want more features, there is a premium version of the plugin. ACF Pro has a range of features that help a lot in customizing your website or WooCommerce store according to your liking. One of the unique features of the premium version is the option to create subfields. These can be repeated multiple times while editing content. Furthermore, you can use any type of field as a subfield. Overall, it improves the customization options very effectively. ACF Pro has a plethora of features that make it a handy tools for innovative and smooth web development. It is particularly easy to manage a collection of images with ACF Pro. There is a gallery field which helps to edit and sort multiple images. 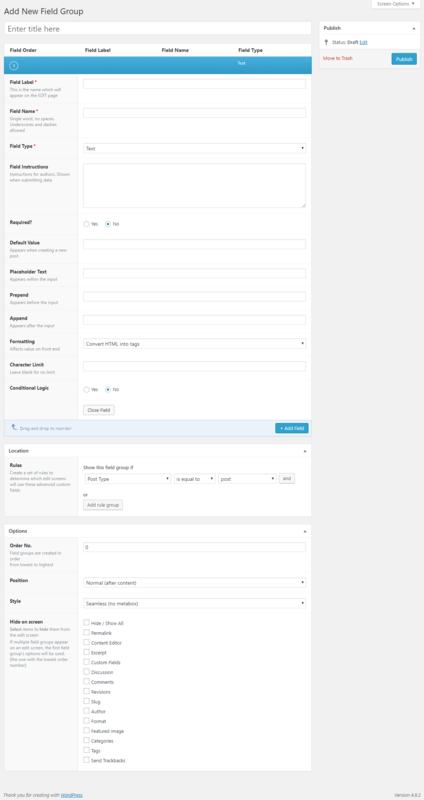 Also, there is an option to help you manage content layouts. You can create subfields as layouts and re-organize them to customize the content according to your specific requirements. Clone field is another prominent option that can be really useful. The specialty of this feature is that it won’t duplicate a field in the database. Instead, it provides you an option to select specific fields, which the plugin will display when the page is loaded. You can select multiple fields in a field group to display them together. Furthermore, options page helps you create additional admin fields just to manage the custom fields created by the plugin. You can set it to display on any other page on your site, as it is saved it the wp_options table. As more fields use searches powered by AJAX, the plugin ensures fast page loading. Additionally, the plugin allows for easy import and export of fields. ACF Pro is available for purchase in two separate licenses – Personal and Developer. The difference between the two is that the personal license has updates on a single site and developer one has on an unlimited number of site. Rest of the features are the same in both. The Personal option will cost you AUD 25 and Developer one is for AUD 100. The plugin provides WooCommerce owners with great options to create customized products with additional features. It helps to offer additional information to customers, as well as ensure a hassle-free checkout. Overall, using this plugin, you will be able to streamline order processing. This will have a positive effect on multiple areas of your business, and will duly reflect in customer satisfaction too. This plugin helps in optimizing multiple aspects of your store to ensure a seamless experience for your customers. The plugin helps to create custom fields in multiple areas – product, checkout, orders, users, etc. This means you easily ensure an exchange of additional information with users, which otherwise is not possible with the core WooCommerce features. Selling configurable products, product add-ons and additional product options are particularly easier with this plugin. These features contribute largely to ensure great customer experience on your store. The plugin offers great options to create product add-ons that will help with selling more products. For example, you can offer extended service on a product, or an accessory at a discounted price, or simply gift wrapping. Similarly, you can take customers’ suggestions to customize a product. Example for these would be custom prints on t-shirts, or a birthday cake with the name written on it, or a personalized note on a gift card. This customization feature is hugely enhanced with the options to add attachments. Using this feature, your customers can upload images or other files that will help in customizing the product. Furthermore, the plugin even helps with pricing options as well. If you want to add or reduce the price of a product, you can do so with this plugin. This can be done using a fixed value or percentage. Interestingly, you can even set a specific user input into this equation. There is also a very effective conditional logic that you can apply with this plugin, which gives a lot of control to store owners. Using this feature, you can determine what fields to display according to who is viewing. It can be applied in bulk to all your products or set up exclusively for a product. By adding extra fields in the order page, you can easily provide valuable information to customers. For example, you can add shipping tracking information, or the model number of a product if required. Similarly, the plugin can be used to gather additional information from customers. For example, you can let customers choose a delivery time for their orders from the available slots. Or, let them choose an add-on with the product, like express delivery, which you can charge them as well. Additionally, the plugin offers power to avoid creating variations every time you have just a few simple attributes like color and size. Instead, you can effectively use the WooCommerce custom fields plugin to choose attributes without wasting any time. The regular license of the plugin is available for purchase for $39. You will get six months of support and updates with the purchase. Also, you can extend the license for another six months by paying $13.13. This free WordPress plugin helps you add custom product fields. You can group the custom fields and specifically add them to individual products or product categories. The plugin provides options to gather specific customization inputs from customers on your product page. These can be through file uploads, color pickers, text, checkboxes, etc. You can add custom fields on the admin side as well. 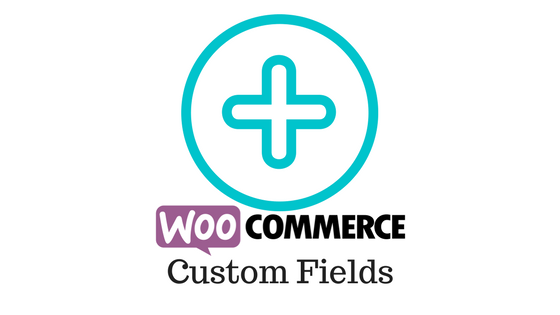 The plugin helps with extensive options to employ custom fields on your WooCommerce store. Simple yet powerful interface to set up custom fields for your store. Group custom fields for different strategies, and associate these to specific products or categories. Clone custom fields per product quantity. Embed custom field meta at different locations such as cart, checkout, email, and orders. This WooCommerce extension offers a great way to manage custom fields on your WooCommerce checkout page. You can add and remove fields from the billing and shipping section. Also, you can insert fields next to the default order notes field of WooCommerce. You can create custom fields using text, check boxes, selections and date pickers. In addition, the extension helps to reorganize the positions of default checkout fields of WooCommerce. You can purchase the plugin for $49. Once you set up the extension, you can create three sets of checkout fields. These are billing, shipping and order notes. First one will be in the payment and billing address section of WooCommerce. In order to create custom fields at this level, you need to enable payment options on your store. Similarly, to add custom fields in the shipping section, you have to enable shipping options on your store. Additionally, there is also one more section where you can add a custom field. This is after the shipping and billing address section in the checkout flow. You can add custom notes beside order notes. However, you need to have order notes enabled for this to work. This extension helps you centralize the order information on your WooCommerce dashboard. Basically, using this extension, you can personalize each order on your store with all the additional information together at one place. This helps immensely in planning your fulfillment strategies. Any additional input from customers, along with any internal notes will help whoever is dealing with the further steps of each order. The custom order fields prevent you from using order notes for everything. The compartmentalized nature of information will bring in the better organization to the whole process. Add and edit order details from the orders page, and provide a centralized access to all your team members. Also, you will get an option to sort and filter orders based on the custom fields. Additionally, you can even choose to display the order information to customers. If you want to display specific information to customers as well by selecting the option “Show in my orders/email”. You can even import the custom order fields can be imported using a good plugin for order import. If you are looking for one, check XAdapter Order / Coupon / Subscription Export Import Plugin for WooCommerce. In the current business landscape, eCommerce stores are not tied to just one type of product. There are multiple product types and business types that are being offered. WooCommerce particularly offers great solutions to different kinds of product ideas such as digital downloads, subscriptions, memberships, services, tours, etc. If you are looking for ideas and solutions in any of these product types, here is a list of articles that would help you. These articles have detailed pointers on the benefits of each of these specific ideas and have lists of tools that can help you implement these. WooCommerce community has abundant ideas to start and manage varied kinds of businesses. Often, you may find the core options slightly inadequate to represent your products and orders. WooCommerce custom fields is a great option to add additional information to your products, orders, and checkout. This article has pointed out some of the best tools to create and manage WooCommerce custom fields in your store. If you are a programmer, you might want to explore some code snippets too. Rest of us may find these plugins quite useful. Any opinion or insights, please let us know. Can you tell what is the error in this code for data validation? // if the field is set, if not then show an error message. I have seen this code here in WooCommerce checkout tutorial and I have implemented the same but I am having an unknown error. !$_POST[‘customised_field_name’] only checks if this POST element is false or not. to see if the field is set or not.